Why do you wish to make contact with HelpWildlife.co.uk? Please see the options below for more information. please see “Sick or Injured Wildlife” in the menu above for advice, or “Finding Help for Wildlife Casualties” to locate a rescue organisation in your area and contact them for advice and assistance. If you are unable to find the advice or help you need on these pages, please refer to our help page for details of further assistance.Please DO NOT contact us or other organisations electronically for help – this is an urgent situation and contact should be made by telephone. please use the contact details listed on their page. Please do not use the comment facility for enquiries, these comments are not passed to the rescue directly. please use the comment facility on the page relating to that rescue. Please see “Get Involved” for details of how you can help. Please note, we do not operate a wildlife rescue so we do not have opportunities for hands on volunteering or work experience. 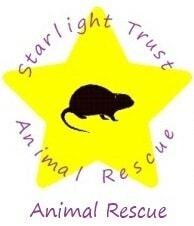 We are run entirely by volunteers so do not have any job vacancies. Unfortunately we don’t have the resources to offer this service. Your local wildlife rescue may be able to help – just put your postcode into our map to find them. Two favours to ask though – firstly, please don’t ask them to take animals along. Animals in the care of wildlife rescues are sick and wild and being on display in front of a group of people is not in their best interests. Secondly, please do make a donation in return. Most wildlife rescues are run entirely by volunteers and operate on a shoe string so please show your appreciation by supporting their work. N.B. Helpwildlife.co.uk is a website dedicated to helping the public know what to do when faced with a wild bird or animal who may need help. 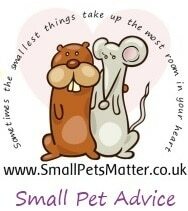 We also have a directory of around 400 UK wildlife rescue organisations. We do not operate a wildlife rescue ourselves. If you have a general enquiry for us, NOT for a specific wildlife rescue, please email enquiries@helpwildlife.co.uk or you can contact us via our Facebook page. Before you email, please check that it’s us you wish to contact. We get a lot of emails which were obviously intended for one of the rescues listed in our directory. Please click on ‘rescue area’ in the menu above and you’ll find instructions on how to add or edit a listing and links to the forms needed.